In this age of sustainability and virtual networking, a simple WordPress website can be your virtual business card, CV, point of contact with prospects and data mining source for client information. Gregory Cohen, of CrossTown Digital Communications says that outlining the developmental stages of your site and identifying your website’s goals is essential to creating a great site that will best serve your needs. If you’re a business owner who depends on clients and contract work, then converting prospects is the name of the game. As Cohen said, a business website is a means to an end, so make a list of what you would like your website to accomplish. For example, if you want to grab a visitor’s attention and assist them as they’re looking at your site, there are tools like customer service software at LivePerson.com that can spark the interest of a prospect and get them interested in your product and services faster. If you want to create a site that will request and collect contact information from visitors, building a splash page is a great solution. You can create a form that will request contact information from site visitors or, if you’re not the DIY type, you can outsource the design project to another graphic designer. Many times when business owners create their first site, they want to include flashy banners and animation, but these elements can be very distracting and even annoying to visitors who want to visit a site and get the information they need without worrying about their computer crashing or having to mute a pop-up video. Web1marketing.com advises first-time web designers to create a clean, simple design that can be easily found by search engines. Use limited flash animation and, when including images or video on your site, be sure to use alt tags to describe what is featured in the images and video. These tags and other keywords used in the site’s copy are identified by search engines and help users to find the sites that they are looking for. Many times users will scan a site quickly to see if the site has the information that they’re looking for, if it’s not the site they need, they’ll leave quickly. That’s why you will want to grab your visitor quickly with easy-to-identify content that is bold and easy to read. Choose a font that is easy to read and professional, such as Arial or Times New Roman. Stay away from fonts that are difficult to understand or unprofessional, like Helvetica or Comic Sans. To make your content is clear and easily found on your site’s pages, break up your copy with bullets and headings. Visitors will see that your site is useful and offers the services they need immediately. Pay attention to details. 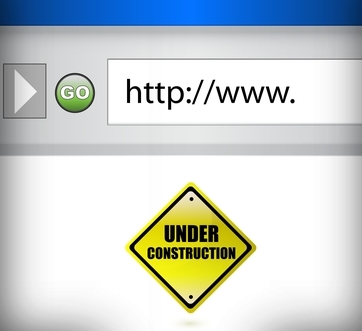 Have a friend or a professional site auditor review before you launch your page. You would never want a client to find a glaring spelling error. A potential client might leave your site if they find that your shopping cart hyperlink is broken. Ask a trusted friend or pay a professional to have a look at your site and make helpful suggestions, before you release your new site for all of the world to see. Once your new site is launched, keep it up to date and have someone check out the changes, so new errors don’t creep in.